Kendriya Vidyalayas - Class 1, Nursery Admissions Open! The admission to Class I in Kendriya Vidyalayas is set to begin from Thursday and will continue till March 19, while admissions for Class II and above will be held from April 2 to 9. While registration for Class II and above will be conducted only if vacancies exist in the respective classes, admission forms for Class XI will be available as soon as the CBSE result is declared, depending on vacancies in the KVs. As per the guidelines, preference will be given to the wards of current and former servicemen in all KVs. An upper age limit has also been set for applicants of all classes — with 5-7 years set for students of Class I; Class X students applying for admission must be between 14 and 16 years, as per the guidelines. All ages will be counted as on March 31, though an applicant born in April 1 will also be considered. 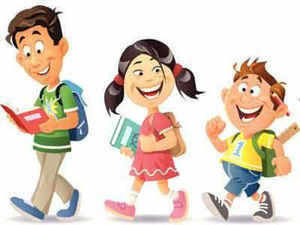 Meanwhile, an age relaxation of 2 years has been granted to students with disabilities, should the principal deem fit. The KVs also have reservations for SC/ST candidates in all fresh admissions. Besides this, the 25% reservation for EWS students, as mandatory under the RTE has also been earmarked. For differently-abled students another 3% of total seats has been ear marked. Admission Schedule - Want to know important admission dates/schedule? Check "Important Dates - Nursery Admissions 2018-2019" Post. WE WILL BE PUBLISHING THE LATEST POINTS/SELECTION CRITERIA for EACH SCHOOL ON OUR PORTAL WWW.SCHOOLSWELIKE.COM - STAY TUNED! The admission schedule for Nursery Admissions Delhi for session 2018-19 is expected to be issued by early December. The Delhi government is not likely to make changes to the rules for nursery admissions in the next academic session, allowing each private school to finalize guidelines on its own, officials in the state education department said on Monday. The admission schedule for over 1,700 recognized private unaided schools, which offer approximately 1.25 lakh seats in nursery every year, is expected to be issued by early December. Government officials said the decision not to intervene would avoid potential legal challenges, which have usually followed alterations to guidelines and prolonged the admission process in previous years. 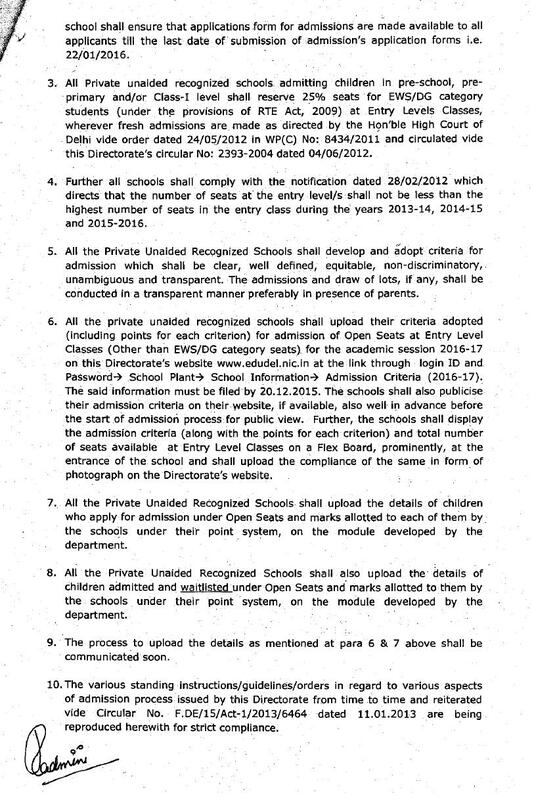 “This time, we want to bring the admission schedule for all private unaided schools at one go. 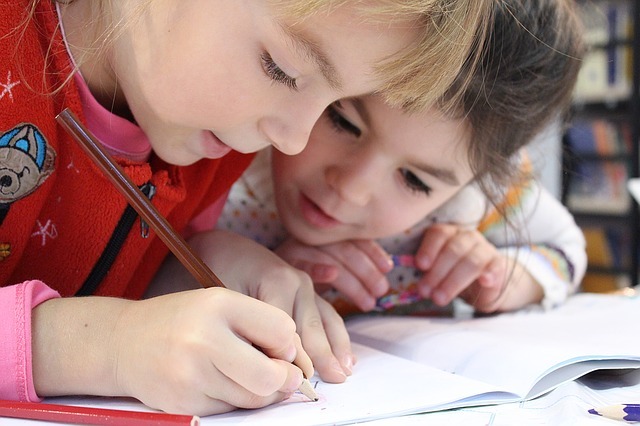 There will be no different guidelines or schedules issued for schools on government land. Schools will decide their own criteria,” a top official in the Delhi education department told Hindustan Times. In January this year, the Delhi government issued a notification asking 298 top schools built on Delhi Development Authority land to make residential proximity the primary criterion for new admissions. According to the notification, applicants living within one kilometer of the school would be given preference. If there were seats left, admissions would be given to applicants living between one and three kilometers of the school, and if the seats were still not filled, to students living between three and six kilometers of the school. The guidelines also abolished the management quota in these schools. The notification was immediately challenged by the association for private schools on the grounds that it violated their autonomy. The Delhi high court ordered a stay, but the confusion lingered for weeks. The application process, which was to finish in January, was finally completed in mid-February. The case is still in court and the next date of hearing has been set for January 16, 2018. The high court also told the government to make any changes in the guidelines for the next session at least three months before admissions were schedule to begin. That deadline has passed. When told that the government was not likely to intervene this year, SK Bhattacharya, president of the Action Committee for Unaided Recognised Private School, said his body would welcome the move. As things stand, residential proximity to the school carries the highest weight for new admissions to most institutions. The radius, however, varies from school to school. Other criteria include preference for girls, for candidates who have siblings in the same school, for children of alumni, and for students with a single parent. A total of 100 points are divided between these criteria in different proportions. A Delhi government official said that the education department would meet over the next two days to finalize the admission schedule. Even if no changes are made to guidelines, the official stressed, all schools will have to abide by an earlier government order that abolished 51 admission criteria considered “discriminatory”. These included oral tests, interviews, achievements of parents, non-smoking parents, and vegetarian parents. Date of Birth : 01st April 2012 to 31st March 2013. (b) Sibling ; 30 points 30 points will be awarded in case of a real brother / sister currently studying at DPS Vasant Kunj only. 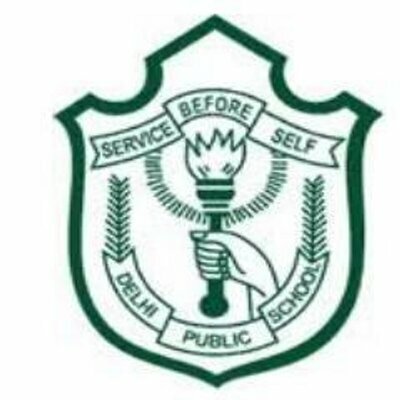 (c) School Alumni ; 20 points For parents who have passed Class X or XII from any DPS (core school) that is owned by the DPS Society. All documents listed below should be produced in original at the time of verification & scrutiny of registration forms. a) Ration card issued in the name of parents (Mother/Father having name of child). b) Domicile Certificate of child or of his/her parents. c) Voter I-Card (EPIC) of any of the parents. d) Electricity bill/MTNL telephone bill/Water bill//Passport in the name of any of the parents or child. e) Aadhaar card/UID card issued in the name of any of the parents. Identity Card / Latest Fee Bill of the sibling issued by the school office for 2015-16. 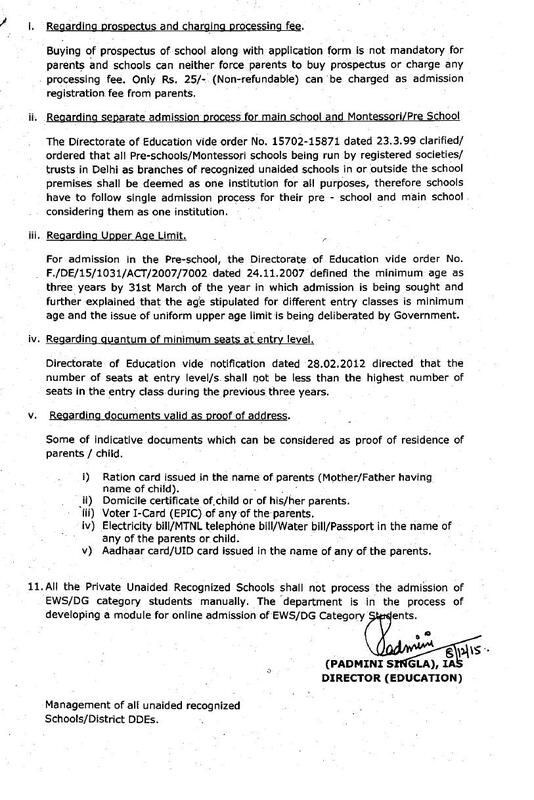 In case of Alumni, a copy of the passing certificate of AISSCE (Class X / XII) issued by CBSE. Affidavit with regard to first born child as per the given format. Valid legal proof of his / her single status (death certificate and undertaking of single status). 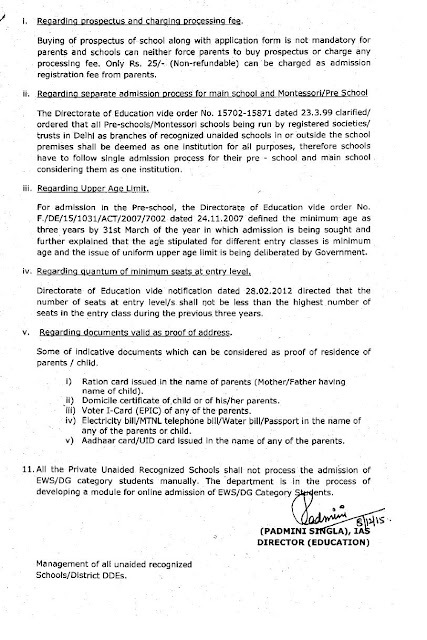 vi) Birth Certificate issued by Municipal Corporation (Original Certificate will be submitted in the school). Nursery admissions will begin from January 1, 2016 and there are no changes in the process. 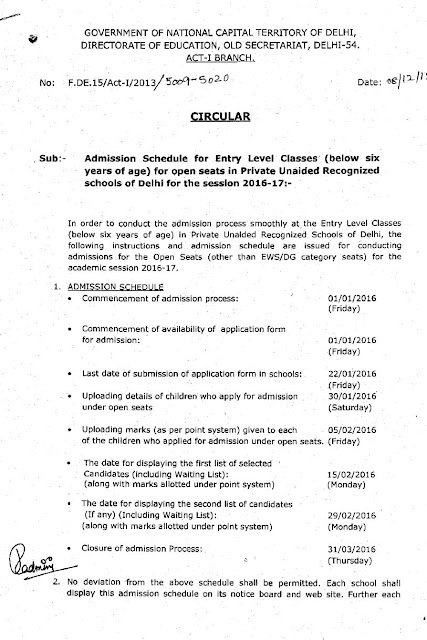 In the education minister's own words, "There are basically two new changes to ensure transparency in nursery admission - list of applicants and list of admitted/waitlisted [candidates] along with marks will be given." Many schools were making such lists and scores public already. Manish Sisodia tweeted on Tuesday evening that the schedule will be issued. The process for admissions into the 25% EWS/DG (economically weaker section/ disadvantaged groups) categories will be announced separately. 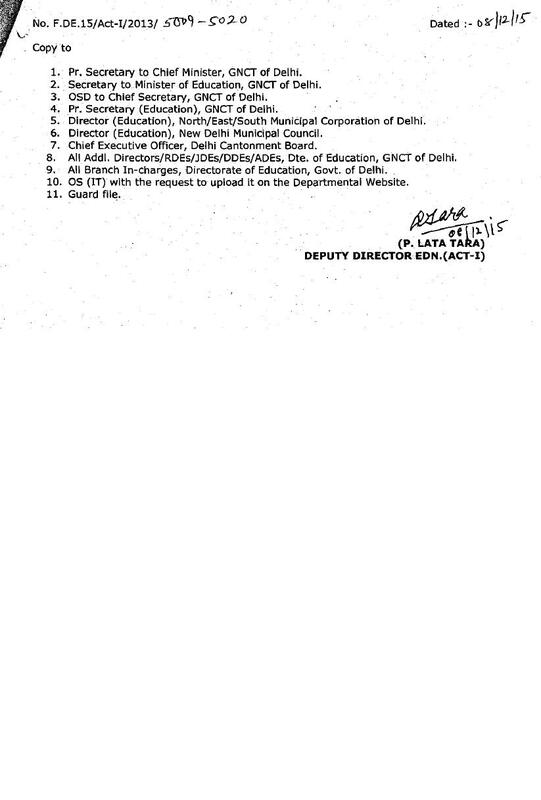 The announcement was made through Twitter and there was no notification on the directorate's website. Last year's process will be followed because "the amendments to the Delhi School Education Act 1973 that the Delhi government passed in the winter session of the assembly are yet to be approved by the Centre," explains director, education, Padmini Singla, "But the process has to begin." 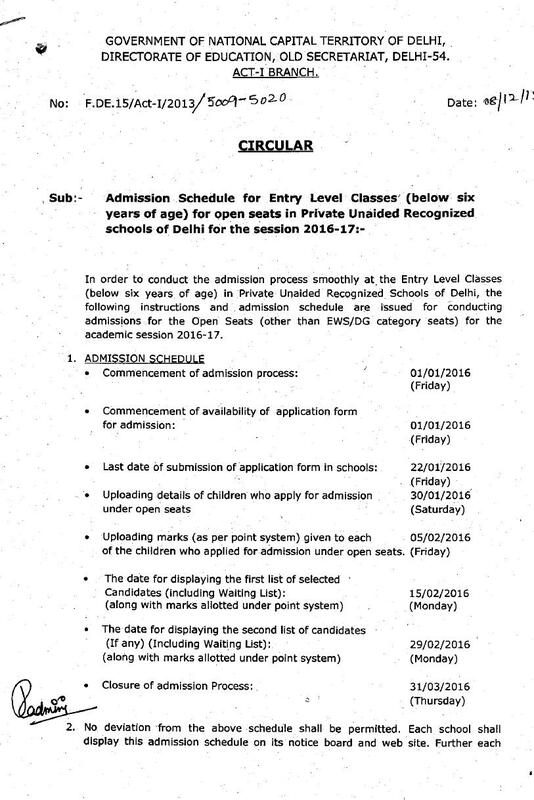 On Tuesday evening Sisodia announced on Twitter, "Admission schedule for entry level classes for open seats in private schools issued today. 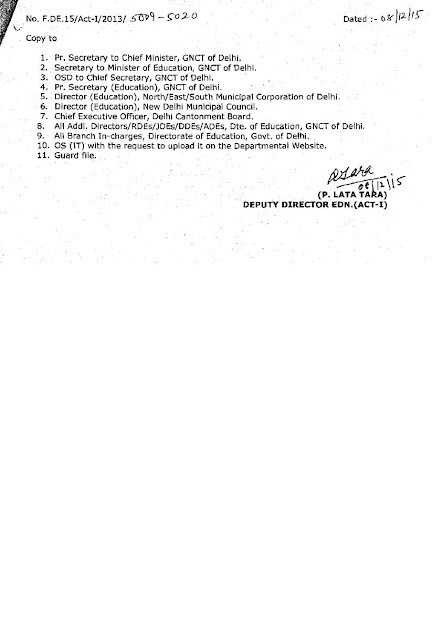 Process to start on 1st Jan 2016." He further said, "Schools have to declare admission criteria which shall be well defined, non-discriminatory, unambiguous and transparent; criteria along with the points for each and total number of seats to be displayed on flex board at entry gate of school; all the schools shall upload details of applicant students and marks allotted to each of them based on criteria on website; number of seats at entry level in each school shall not be less than the highest number of seats during last three year; and all the schools shall also upload details of children admitted and waitlisted and marks allotted to them under their system." "What is new about this? This has been on from 2012. Also, separating the process for EWS and general category is illegal," says lawyer-activist Khagesh Jha.